Jack Bradt is well known as a mentor and leader in entrepreneurship, business policy and business strategy. His clients rave about his ability to hone in on exactly what they need to do in order to succeed beyond their wildest dreams. As a Leadership Coach, he provides the necessary element for success in Management, Innovation, Strategic Planning, Team Building, and Product Development as well as hiring and motivating good employees. 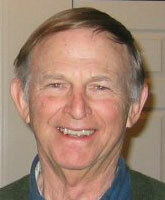 Jack was formerly the CEO and Chairman of SI Handling Systems, and he continues as a Director there today. He also ahs served on the faculty of Lehigh University and Cornell Johnson's School as Entrepreneur in Residence, as well as teaching MBA classes in Policy, Strategy, and Leadership.